"Theatre is the art of reflecting reality"
All sessions are designed to establish performance, build confidence and develop good communications skills. "Thinking outside the box" is not only encouraged but is expected! 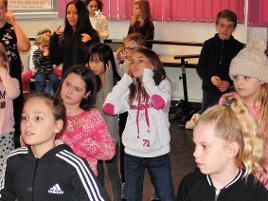 A high standard of training is given in our fun packed 2 hour Saturday morning sessions, lead by qualified drama teachers, trained performers and ex members. Our motto is: "We are so busy!" When I started my Stage School on 5th January 1980 I could ardly believe that we would be so busy 38 years later. I understand that when choosing a drama activity for your child it is worth considering several important points; Will your child take part in regular plays and shows? Can they take professional examinations? Is there a thriving social club? Well at Stage School the answer is yes! 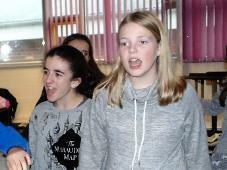 Basingstoke Stage School is a place for learning, fun, making friends and above all producing high quality drama. 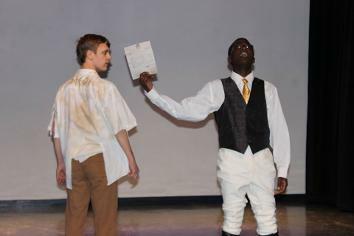 Students are taught from the "Actor's Tool-kit", a selection of performance techniques that incorporate all stages of performance from improvisation to scripted work, from musical theatre to serious performance and from monologues to large ensemble acting. 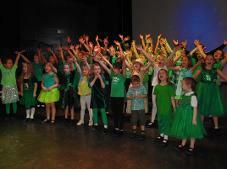 Basingstoke Stage School is a great place to introduce and prepare your child for the enjoyment of the Performing Arts world!